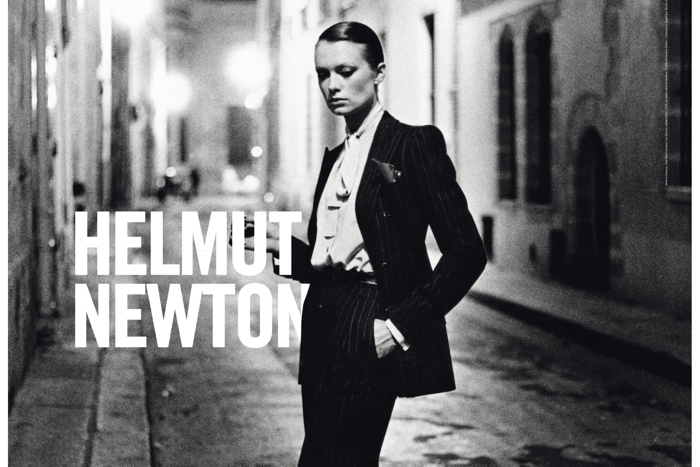 Helmut Newton was probably the most controversial photographer ever. Some worshipped his photography as great art; others saw in him as just a taboo-buster often treading the line of misogyny. The Grand Palais is now showing the first retrospective in France since his death – and if there were just one photo that touches you, than I would say: it’s art. “Some peoples photography is an art”, Helmut Newton used to say, “mine is not. If they happen to be exhibited in a gallery or an art museum, that’s fine. But that’s not why I’m doing them. I’m a gun for hire”. That was not coquetry that was Helmut Newton. Honestly, he didn’t consider himself an artist. When I met him a couple of years before his death in a hotel in Paris, he was very down to earth. Just a man with a special destiny and a special obsession. “I’m a terrorist”, he told me back than, but what he wanted to say was, that he was somebody who loves to provoke. Think of it: A German Jew who had survived the Nazi persecution with a lot of luck, celebrated Nazi aesthetics throughout his life. His wife June once said that his photography was influenced by what he had seen during his youth: sporty bodies, blond girls swimming in Halensee, Berlin. She had hit the nail on the haed: Helmut Newton had left everything behind him, when he fled the Nazi terror, except the aesthetics of his time and his country. The Paris exhibition gives a nice overview of his work. There are the “Big Nudes”, those naked, full-scale women walking on high heels, inspired, as he said, by photos of German terrorists. There are all those women with shackles and cuffs and uniforms. Newton’s vision of the female body was definitely one of a warrior: either perpetrator or victim. There was always power at stake. But then look at this: “Leaving Las Vegas”, a blurred photo of American landscape. Or Liz Taylor lying on a deck chair. Or the Nazi filmmaker Leni Riefenstahl with a Guerlain powder compact in her old, old hands. 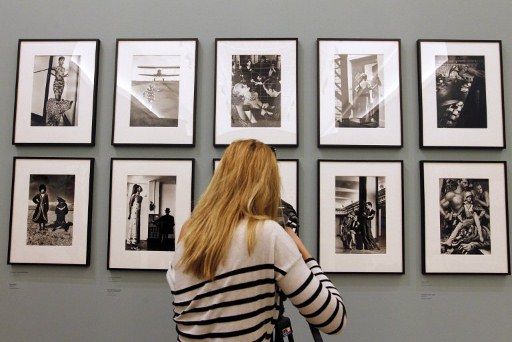 No, Helmut Newton was not an artist, he was a great artist. He grabbed the surface – and the soul. Open everyday except Tuesdays from 10 a.m. to 10 p.m.